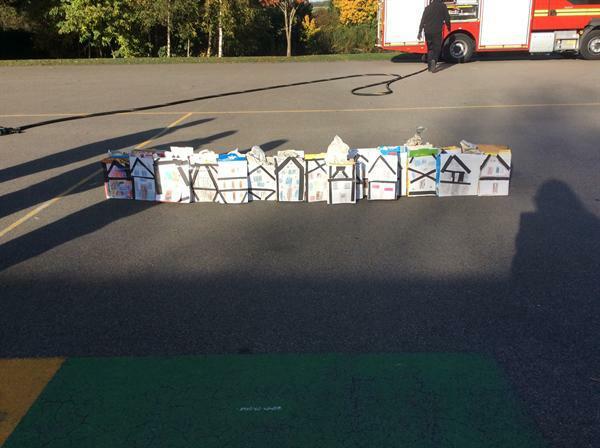 Year 2 children experienced the destruction of fire at first hand today when, as part of their topic looking at the Great Fire of London, their very own 'Pudding Lane' was consumed by fire. 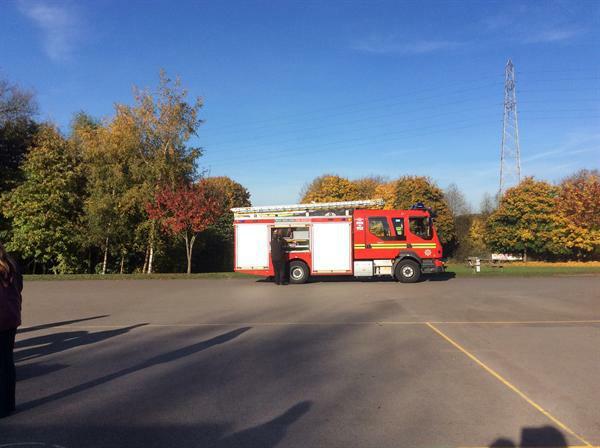 In a thrilling session supported by firefighters from West Midlands Fire Service, the children had a talk about fire safety and also saw a safe demonstration of fire damage. 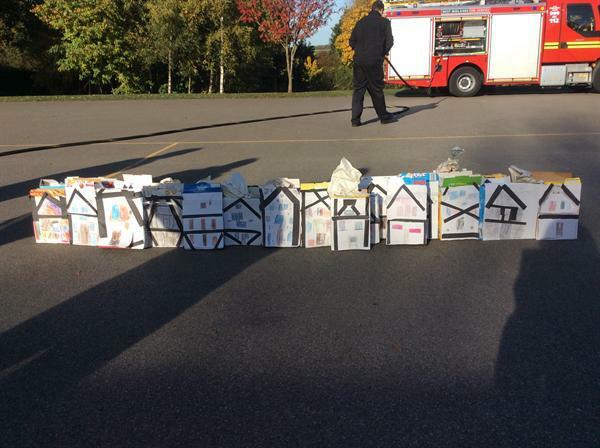 The model houses that they had built during the last few weeks were destroyed by fire and then extinguished by the fire officers. 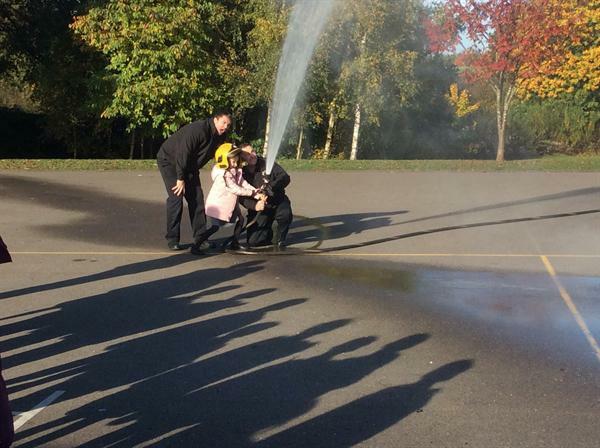 Some of the children were able to assist with putting the fire out from a safe distance under supervision. 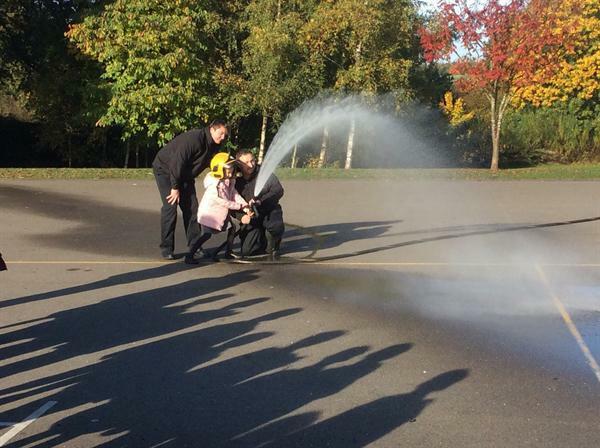 So many valuable lessons were learned and the children saw at first hand how fire can spread. In this week which sees our annual bonfire and firework evening we were extremely appreciative of the fire service's help.